Earning this badge will give you hands-on experience working with example risk assessments in R on your own laptop, from raw data to final decision. The workshop introduces and compares Monte Carlo simulation and probability bounds analysis for developing probabilistic risk analyses when little or no empirical data are available. 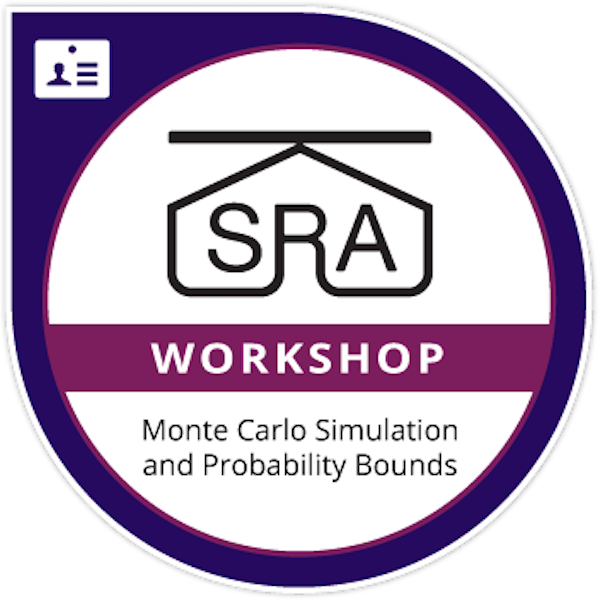 Attend the SRA Monte Carlo Simulation and Probability Bounds Analysis in R with Hardly Any Data Workshop.